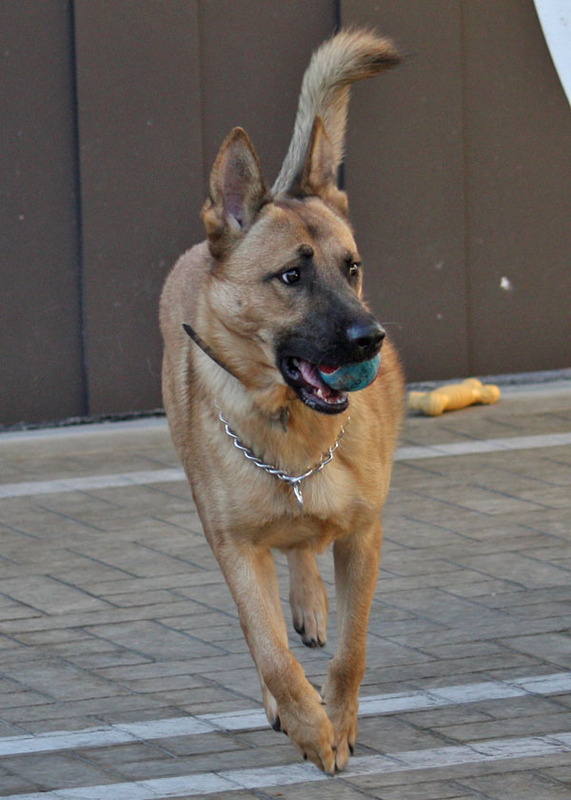 Fritz von Freiberg is a handsome 2 year old Shepherd mixed with a smaller breed. Like some people, he takes a little time to warm up to you but, once he does, he turns into a devoted and loyal friend. 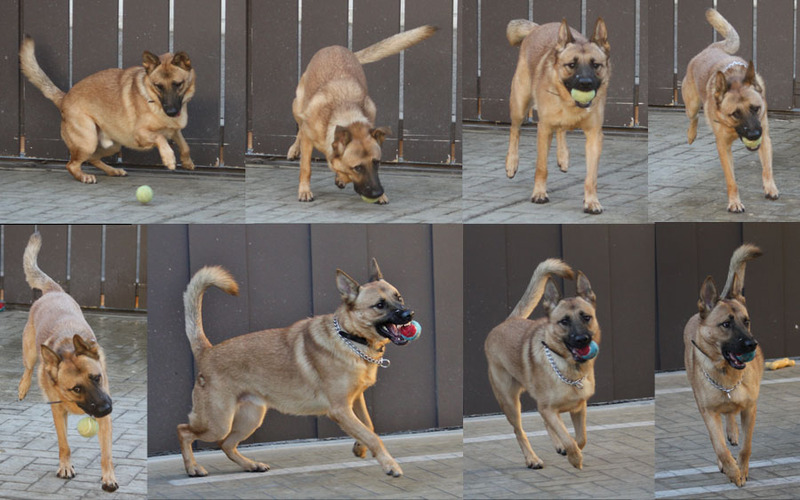 He loves to play with other dogs and would make an outstanding jogging companion. He will bark at strangers but accept whom you accept -- so very "shepherd." He is so housebroken that he will not go in his run for hours and then, when taken out for a walk, pulls on his leash to get to a tree to relieve himself. Then he calms down and walks perfectly, even next to other dogs whether large or small. This energetic guy wants to please his owner in every way and is very responsive when given commands. He has participated successfully in an at-risk teen therapy program and now awaits to devote himself forever to the perfect, active family, who will thank their lucky stars for having adopted Fritz. No cats please.